I always thought I was a good listener. As a (former) debater and a (current) lawyer, I need to be good at this, right? I need to be able to listen actively in order to tease out the truth. However, having spent this summer in Sarajevo as an Oxford Summer Field Researcher for Generations For Peace (GFP), I’ve realised that I was pretty bad at listening. The law only taught me how to “listen to react” and not how to “listen to understand”. The latter may not be necessary for the courtroom, but it is vital for conflict mapping. First let’s rewind a little. The question you’re probably asking yourself is: “What on earth is a lawyer doing conducting research at a peace-building organisation?” I asked myself this question many times this summer (often midway up a steeper-than-the-last learning curve). More than just loving a good challenge, I am deeply interested in transitional justice and the way the law can be used to assist peace building in post-violent societies. Coming from South Africa, where our Constitution assists and sometimes drives nation building, I believe that the law has great instrumental potential for fostering peace. But it can’t be used alone. 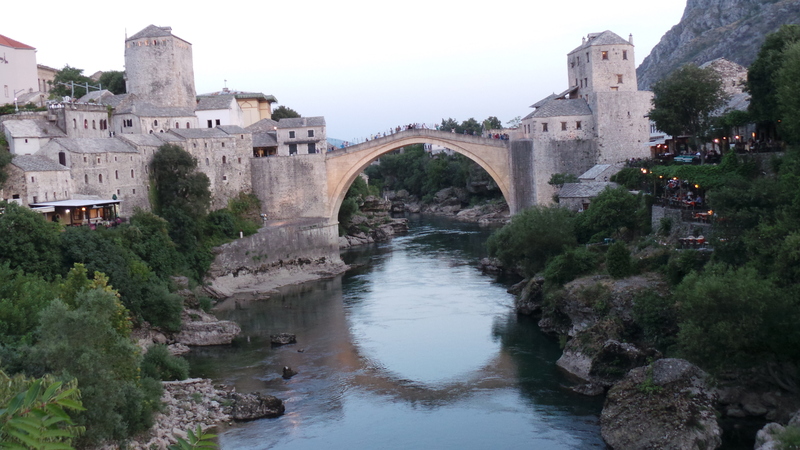 My research for GFP focuses on Bosnia and Herzegovina, a country that has tried the legal-only route already. GFP programmes cover a range of on-going activities at the grass-root level that are not necessarily linked to law. For example, programmes involving sports and arts activities promoting inter-group interactions. But before GFP can implement such ongoing activities in Bosnia and Herzegovina, the local volunteers need to choose the type of programme that will most effectively tackle a problem or conflict. Before this choice can be made, GFP needs to know more about these problems or conflicts. This is where I come in. My research this summer focuses on conflict mapping, which is exactly what it sounds like: recording, in detail, the current challenges, tensions and issues facing Bosnia and Herzegovina (particularly Sarajevo). This detailed record is one of the things that local volunteers will rely upon when deciding what issues to tackle and what programmes to run in Bosnia and Herzegovina in the future. The logic of conflict mapping is simple but important: effective and suitable recommendations depend on a nuanced and accurate understanding of the situation. The framework I am using to “draw” my conflict map prioritises what citizens themselves perceive to be the most important conflicts and challenges. This meant that I spent all of my time interviewing citizens of Bosnia and Herzegovina to find out what they thought, how they felt, and (most importantly) why. Basically, I spent all of my time in Sarajevo listening. For the first time in any professional capacity I needed to listen simply to understand. I had to unlearn my lawyerly habits of listening to react, rebut or respond, and learn to hand over the keys of a conversation to the speaker and let them unlock their own meaning and knowledge of difficulty or hope. Everyday for almost two weeks this was my role. To listen with a mind unclouded by argument or strategy. 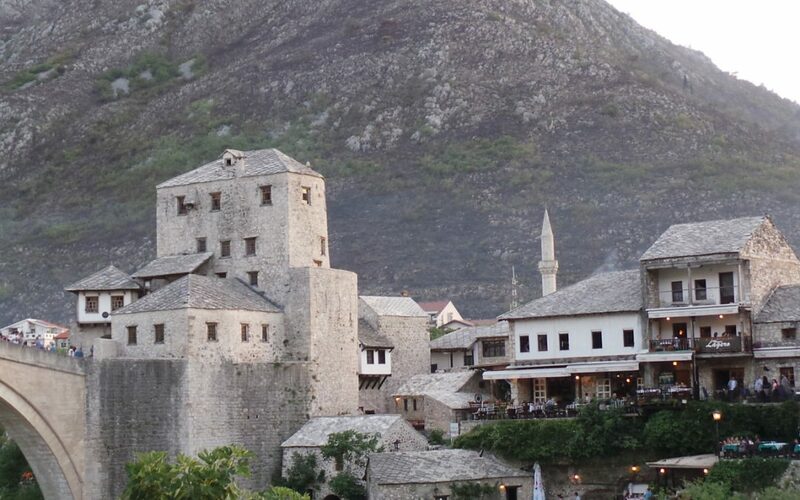 With the knowledge that I had no knowledge of what life in Bosnia and Herzegovina was like: what the difficulties really are, how they really affect every-day life, what it really means to be Bosniak, Bosnian Serb, Bosnian Croat, or “just Bosnian”. It is only by starting from this blank slate that I can draw as truthful a conflict map as possible, so that programmes can address the issues that matter the most to people on the ground.